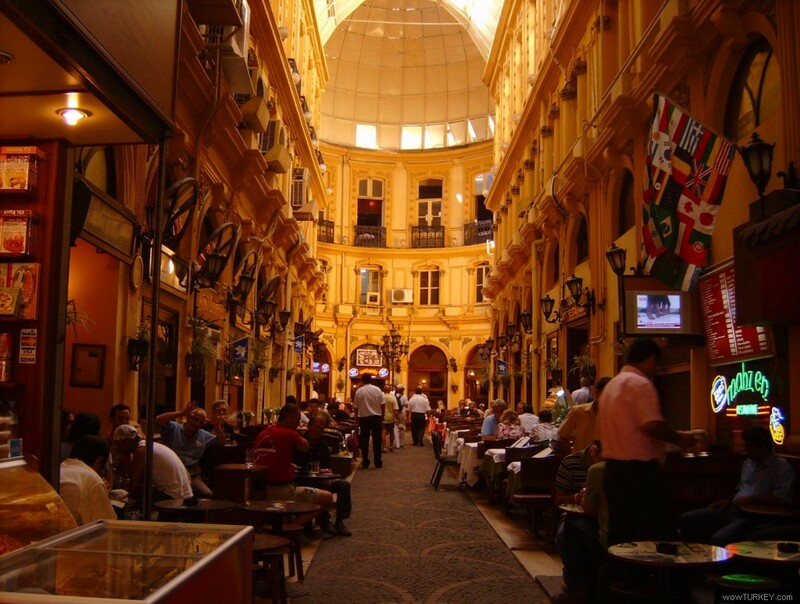 Here is our list covering the most popular meyhanes, or the traditional Ottoman/Turkish pubs or taverns. Although the exact date of its foundation is unknown, Cumhuriyet was renamed with the proclamation of the Turkish Republic in 1923. The owners of the place changed several times but the place still stays the same. Cumhuriyet is one of the symbols of Beyoğlu, serving its customers on three floors and around 100 varieties of meze every day. You can taste the special herbal mezes on specific times of the year, prepared using herbs from the Aegean region. Live fasıl concerts are on every day. What makes Mythos special is its location: It is in the beautiful Haydarpaşa train station building. This historical place serves Aegean and Greek mezes and all the ingredients come from the Aegean region. Some specialties include grilled octopus, shrimps and calamari as well as meat dishes. Fasıl is available at the weekends. Safa is located in one of the historical districts of İstanbul, Yedikule and has been open for more than a hundred years. With its classical decoration and mezes, Safa is one of the first places that come to people’s minds when the subject is meyhane culture. More than 20 meze varieties are prepared every day and the specialty is spiced mutton liver. It is advised to make a reservation since Safa is almost always busy with customers. The place is named after Refik Aslan, the founder. It was founded in one of the most popular neighborhoods in the Historical Pera, Asmalımescit. The place started as a small restaurant n 1954 and now more than 30 meze varieties are served. Main dishes include meat grills and fish. Located in one of the historical centers of İstanbul, Samatya, Kuleli is one of the oldest places in the district. The menu is rich with marine food and fish varieties and a reservation is advised especially at the weekends. Kumkapı is famous for numerous meyhane and fish restaurants and Kör Agop is one of the oldest in the neighborhood. It was opened in 1938 and some of the specialties are fish soup with a special sauce, lung stew and hot beans. Yakup 2 is one of the most popular restaurants in Beyoğlu and it is famous for its hors d’oeuvres. Spiced mutton liver, butter and mushrooms and pastrami in curl paper are some special dishes. A reservation is essential. Serving for more than half a century, Hatay Meyhanesi is one of the meeting points for the famous pens of Turkish literature. Autograph sessions and talks are organized at the place and its kitchen is famous for the mezes. Steamed dishes and humus are two of the popular dishes and it is required to make a reservation.